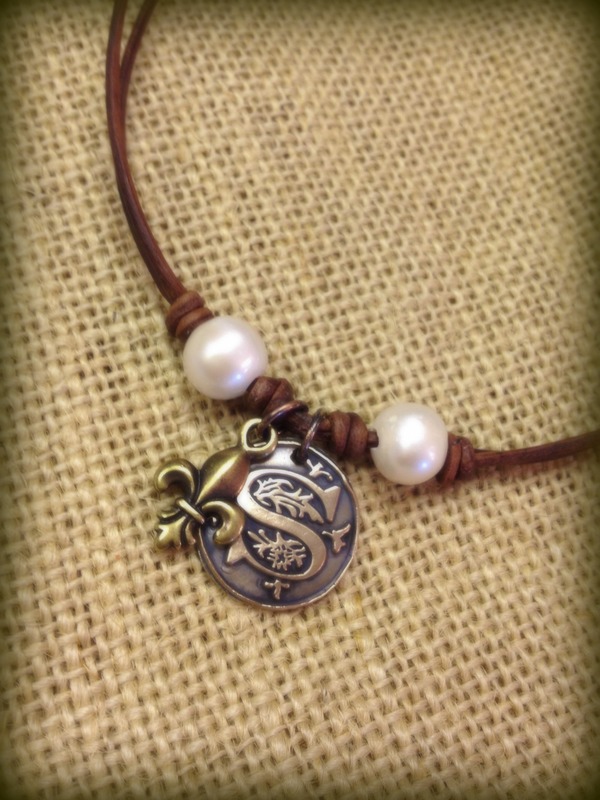 Description Initial Necklace accented by bronze fleur de lis and freshwater pearls. Hand knotted on round leather cord, color of your choice. Color of leather shown in picture is Distressed Brown.